Things go better with Coke . 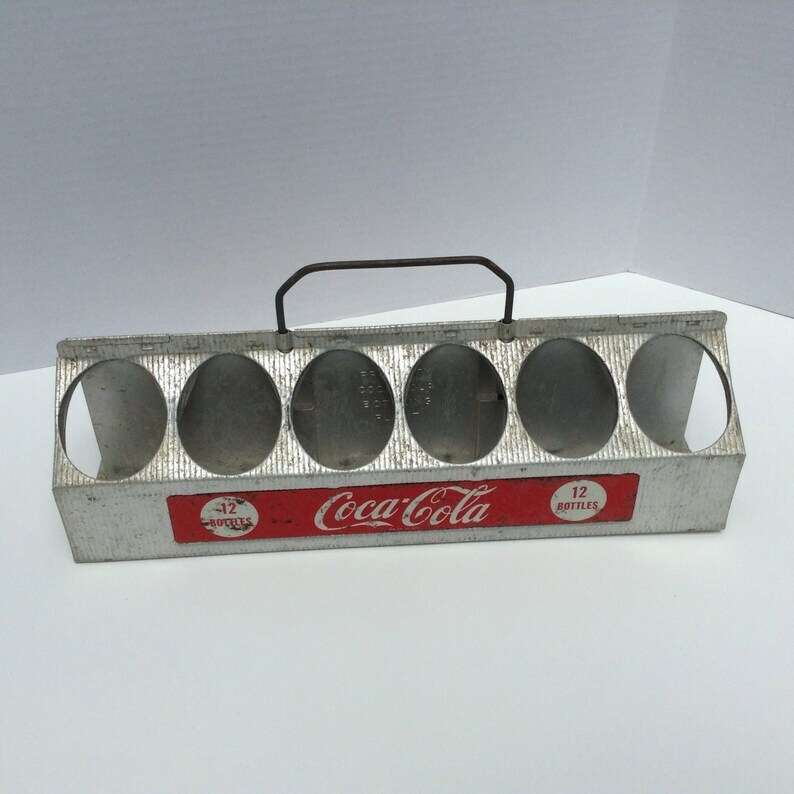 . .
Made of aluminum with a sliding handle, this vintage 12-bottle carrier measures 16 1/4" long by 5 3/8" wide by 6 3/4" tall with the handle down. With the handle extended up, the height is 9 1/4". The overall surface finish is ribbed. side) – red background with the Coca-Cola script logo in white. The words 12 bottles (red) in two white circles flank the logo. Each strip is 11 1/4" long by 1 1/2" tall and while vibrant in color, display minor surface rust, scratches and pitting. The piece is in good condition with wear consistent with age and use. There is discoloration, staining and some roughness to the aluminum. There is one surface dent (see photo three, second bottle opening at 4 o'clock).